[APK] Mystery of Malfaxus by Selzier &gt; Play / Vote / Like! Jeff: "My favorite so far, couldn't help myself from wanting to explore a little more." Courtney: "I was really surprised that one of the best games did not make the finals .. u guys have one of the two top games"
Andrew: "Really felt like I was playing the beginnings of a new Zelda game with its own twist." Peter: "Very nice and fun! Loved the combat with the skeleton and the exploring the cave." Albino: "This game looks stunning and runs smooth. I love the low poly look." Richie: "Nice! I am impressed with how well the movement worked without inducing discomfort"
Marc: "Great non-intrusive UI that was very easy on the eyes. I liked how you implemented the Shop. Thought the sound effects and music fit perfectly." Mystery of Malfaxus is a "Hands Free" Fantasy Adventure specifically designed to take advantage of the Oculus' Mobile technologies and create a full experience with only the gaze of the player as input. This will allow people with disabilities and those without controllers to play and gameplay does not require touchpad interaction. The game also takes advantage of the full 360 degree movements possible with Gear VR, this game is definitely a candidate for a comfortable "swivel chair" experience. We even have a very excited beta tester in a wheelchair who can use his hands to spin himself around while enjoying the game- it's great to bring big smiles to people's faces. The game is entirely controlled through Gaze. Hands-free! Back button will access menu and inventory in the future. Our team is composed of a game designer & developer, three music composers, and two sound engineers. We believe audio is a huge part of the VR experience, many team members fouced on audio and we use Oculus Audio SDK with spatial sounds. - Oculus' Mobile SDK 0.5.1! Running newest release. - Unity 5.0.1f1 Pro! Although Unity 5 has been a challenge and setback in the jam, we enjoy the testing in the newest releases. - Oculus Mobile SDK 0.5.1! Our game uses spatial audio for a more immersive VR experience. All bleeding edge technologies and we are proud to announce our game is running good on Gear VR hardware! A lot of effort has been put into learning Gear VR / Note 4's current capabilities, fine tuning optimizations, and learning best methods for Gear VR development. During the jam we were able to achieve an acceptable framerate, however going forward we have a much more optimized workflow for creating high performance games for Mobile VR platform. We believe APK size, loading times, battery usage/heat, very high framerates, are all important considerations of mobile VR dev. 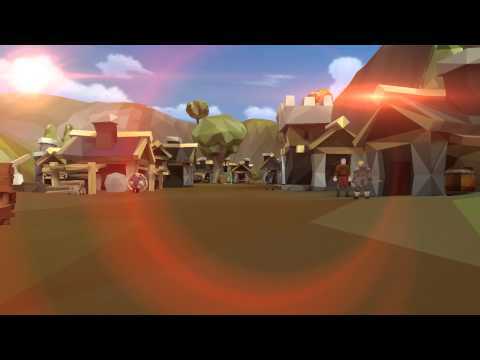 VR Jam 2015 Entry Mystery of Malfaxus - Vote / like here! Hey, I got my GearVR and I'm now going through Jam Submissions but the download link for this game isn't working. Is it still available somewhere? There's an APK here but it's only compiled for the old Gear VR, I think a Note 3 and 1 other phone. With current Gear VR it will give an error.